Heelflips are a love it or hate it trick. Some people prefer learning how to heelflip over kickflips while others leave them alone altogether. The reason for this hatred of heelflips is that they like to land primo, a lot! Primo is painful, and you only need to land primo a hundred times while learning to heelflip and you’ll be put off them for life. Now, although we cannot stop you landing primo on heelflips altogether, we can give you the keys to the trick. While you’re learning a flip trick, primos will happen, but hopefully, we can keep your primos to a minimum with the tips below. So, let’s find out how to heelflip, shall we? What tricks do you need to learn before a Heelflip? 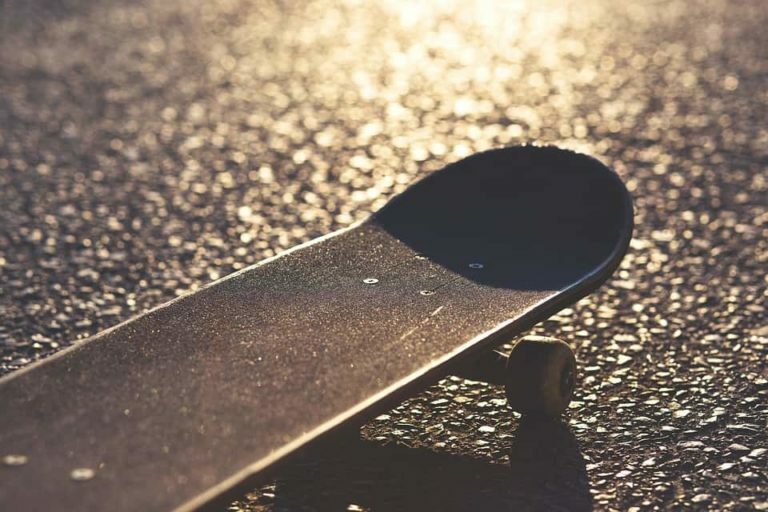 Before we get to our trick tips for heelflips, let’s first look at the tricks you need to work on before you try heelflips. Ollies – ollies are a base for every trick that leaves the ground. You need to know how to do an ollie comfortably in order to do any flip trick, including heelflips. Once you can ollie, the world is yours! That’s it, if you can ollie, you can heelflip with some hard work and practice. Before we get to stance, pop or anything like that, you need to know this tip for heelflips. This heelflip tip is the most important one you will read here. You need to imagine that there is a spider on your ankle and that you are trying to flick it off when you flick your foot for the flip. This sounds really dumb, but this quick flick of the ankle is what’s needed to flick a heelflip properly. If you flick half-heartedly, you are going to land primo. So, always remember the spider on your ankle and try and flick that sucker off every time you flip a heelflip. Stance for every trick differs from person to person. So while we can’t tell you the perfect place to put your feet, we can tell you where we put our feet. You’ll need to explore foot positioning for your heelflips and find the perfect spot for the pop, flick, and catch. The pop and the flick of a heelflip need to happen quickly. Once you pop, you need to flick almost straightaway. This is because a heelflip does all of its spinning on the way up. So, when you’ve reached the top of your ollie, the board will be back under your feet (hopefully the right way up). So, pop the way you normally would for an ollie and flick the spider off your ankle. This is why the spider flick is so important. You need a quick rotation of the heelflip so that it completes the flips before you reach the maximum height of your ollie. Your foot should kick out in front of you and not go over the front over the top of the board like it does on a kickflip. This is probably the best part of heelflips, it catches itself. 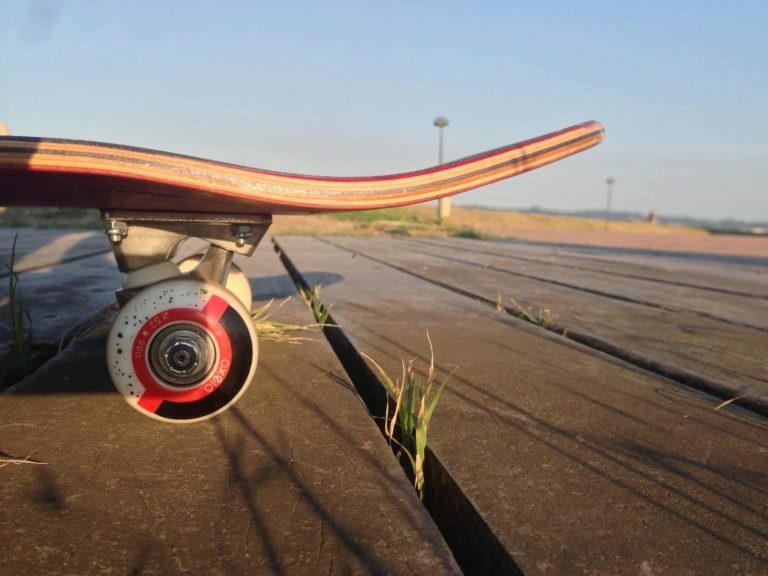 As the flip is taken care of on the way up, from the moment you pop your board, the flip is flipping, the board naturally comes to your feet because they are always above it. Now, this makes kicking the board away if things aren’t going right quite simple too. You can see if the board is coming round in time and if it isn’t, just kick it away. 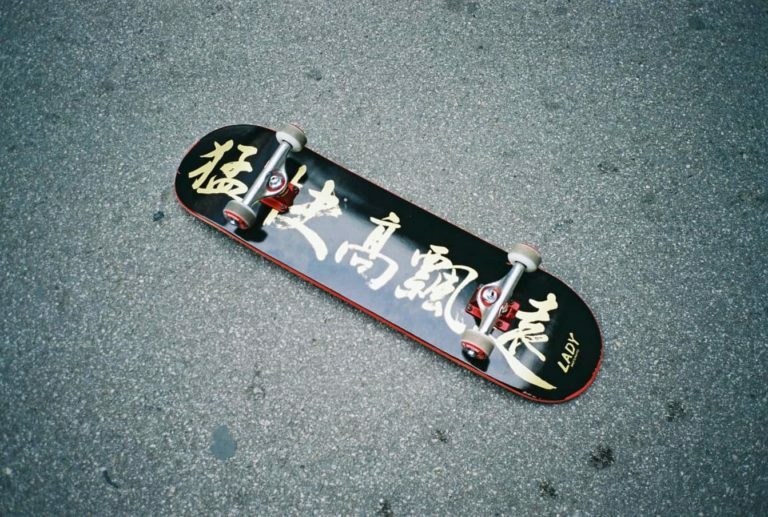 Once you catch the board, ride away smooth having landed your first heelflip. If you are still getting a little stuck with your heelflips, give this video from Braille a watch. They break the heelflip down perfectly in this video so it’s perfect if you’re having trouble getting the flick right. Now that you can nail heelflips fairly consistently, you can begin exploring other heelflip variations like fakie heelflips, varial heelflips, inwards heels and loads more. There are just as many heelflip variations as there are kickflip variations. Let’s take a look at some of these heelflip variations so that when you are ready, you can start learning these too. Varial heelflips are probably the best trick to learn after heelflips. There isn’t much more to learn and so you’ll likely learn them quickly, as long as you have a few other basics down. Varial heels are extremely fun to do, but there is a knack to them. What Tricks do you need to learn before a Varial Heelflip? You need to be very comfortable with front shuvs to do a varial heelflip. Of course, you need the heelflip too, but most of the motion of a varial heelflip relies on the shuv. Once you have the shuv down and you are comfortable with them, a varial heel should happen quickly. Let’s go through the basics of a Varial Heelflip. First up, you need to know the right foot position for a varial heel. Of course, we all differ when it comes to these tricks, but basically, you want to put your front foot where you heelflip but angled towards your tail a little more. The back foot needs to be in the pocket of the board where you put it for a front shuv. This is where varial heels can get confusing. When you pop a varial heel, you want to start to do a heelflip with your front foot as you start the spin of the shuv with your back foot. This will take some practice. When you first start out flicking varial heels, it might help if you don’t try to land on them. Instead, flick them and watch how the board flicks and moves through the air. You may notice that it is going behind you. If this is the case, you’ll want to jump backwards as you flick, this will mean that you are over the board when it comes time to catch it. Just like a heelflip, varial heels will often come up and meet you in the air. However, just like front shuvs, they can also be a bit flat and rather than going up like a heelflip, they will tend to travel sideways. These are things that you can iron out later. If you want to catch them higher, this is something you can practice once you have landed a couple. For now, just flick it hard, jump backward and get your feet back on your board. So, that’s how to land a varial heelflip. If you want to see a video breakdown, then check out this fantastic tutorial. Once you’ve landed a few varial heels you may be looking for your next trick to learn. Well, why not an inward heel? Inward heelflips are such a fun trick, they can be fairly intimidating, but once you’ve figured them out they are crazy fun! Want to learn inward heels? Let’s find out how. Out of all heelflip variations, inward heels are perhaps the most complicated to learn, but once you learn them, you are one step closer to doing nollie inward heels like Herman! What Tricks do you need to learn before an Inward Heelflip? Just like varial heelflips, the pop shuv is the most important part of inward heels. Of course, you need to be comfortable with heelflips, but you need to be able to pop shuv very consistently. Without a good backside shuv, you’ll struggle to do inward heels. Most people set their feet up for a backside pop shuv with their back foot in the middle of their tail. However, for an inward heel, you need to put it in the pocket. See our picture for more help on this. Your front foot should be in your normal heelflip position, but a little lower down on your board. Some people find it easier to stick their toes further off their board, but this is something you’ll have to experiment with. With an inward heelflip, your back foot isn’t as important as you think. Its position when you pop really takes care of all sideways movement that you need. It is all about your front foot with inward heels. All you need to do is pop and flick a heelflip. When you are in the air, your legs spread out as if you are doing the splits. As you pop and flick the heelflip, you’ll notice that your board will naturally do the inward part of the trick. If it doesn’t, you don’t have your back foot in the right place so you’ll need to experiment with your foot placement. While you are in the air, you’ll notice the board move sideways in the direction of the backside shuv. Now, you should naturally move with the board, but if you aren’t you may need to encourage yourself to do it. 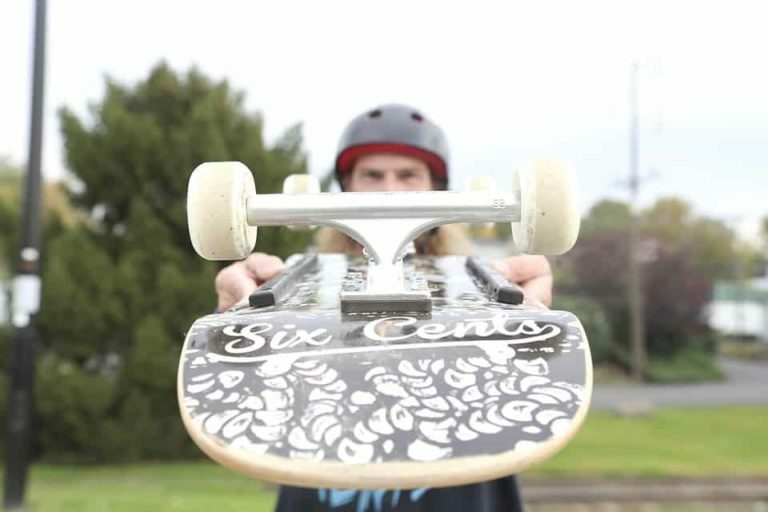 Most likely, you won’t be catching your inward heels like Neen or Herman any time soon, but you’ll likely be able to see your board come round and land on it. Not many people can catch inward heels from the get-go, so don’t worry about the catch right now just focus on riding away smooth. Good luck with inward heels, they are a tricky trick to master, but it can be done. Again, this excellent tutorial video should help with some additional pointers. If you have mastered inward heels then you’re probably wondering how to do nollie inward heels like Herman. Well, unfortunately, we have no idea how to Nollie inward heelflip like Herman, only Herman know his secrets. However, we do know how to nollie inward heelflip so let’s learn them, shall we? The most mystic trick of them all! Many people can Nollie Inward Heelflip, but not many can make them look as good as Mr. Herman. As we said, we can’t help with making Nollie inward heels look good, but we can tell you how to do them. What Tricks do you need to learn before a Nollie Inward Heelflip? This is going to be very similar to similar to an inward heelflip, but you need to really make sure you have your nollies down to a tee. The foot position for a nollie inward heel is very strange and unlike any other trick, but this actually helps you understand the trick quicker. Your back foot needs to in the same position as a normal nollie heel, but you may find it easier to put it a little higher up than a normal nollie heel. Your front foot needs to be bang in the pocket on the nose almost pointing forward. This seems strange but you need this position to force the board to do the action you want it to. When you pop a nollie inward heel, you want to keep your nose going towards the floor. Rather than with a normal nollie heelflip, you don’t want to level the board, just keep the nose pointing towards the ground. Now, as you are in the air, you want to flick your heelflip, but flick the heel and the shuv at the same time. This means that, rather than your flicking foot going straight out, you want it to flick the heelflip towards the direction you are going just a little bit. This will take some time to figure out. To start with, just flick the trick and try not to land on it. Once you figure out the direction the board is going, you can then start to try and land on it. As the board flips the heelflip, it will naturally come up and hit your back foot. As long as you’ve done it correctly, your front foot will already be over the nose and so as the board comes up and hits your back foot, your front foot will naturally come back on to the board. Once you’ve figured out the flick (the most important part of nollie inward heels) catching them are actually pretty simple. The moment the board hits your back foot, it stops the spin and you will roll away smooth. So, now you know how to heelflip, inward heelflip and nollie inward heelflip, go and learn some new tricks and have some fun! Make sure you check out the rest of our website for more trick tips and the best that skateboarding has to offer.